​​ We breed true to the breed standard of Prazsky Krysarik and aim for type, well proportioned and healthy dogs with an outgoing nature and good character. 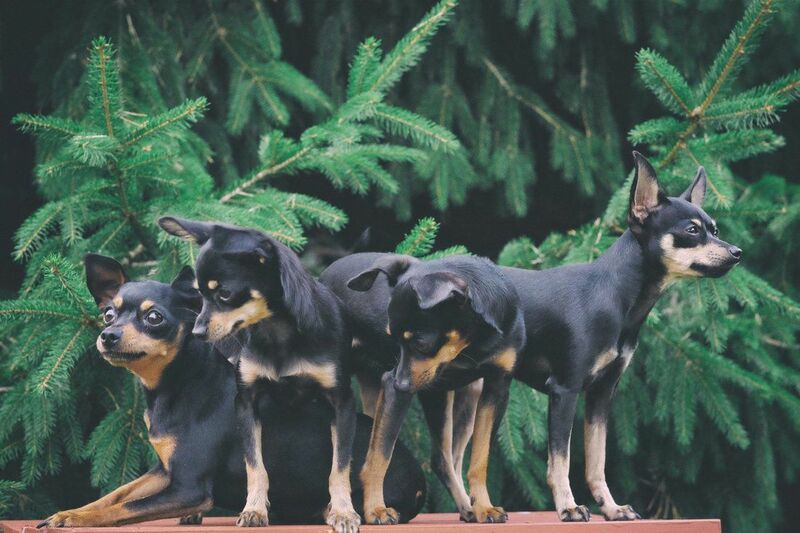 ​We only breed original Prazsky Krysarik in black & tan color! We only mate dogs with full pedigree! 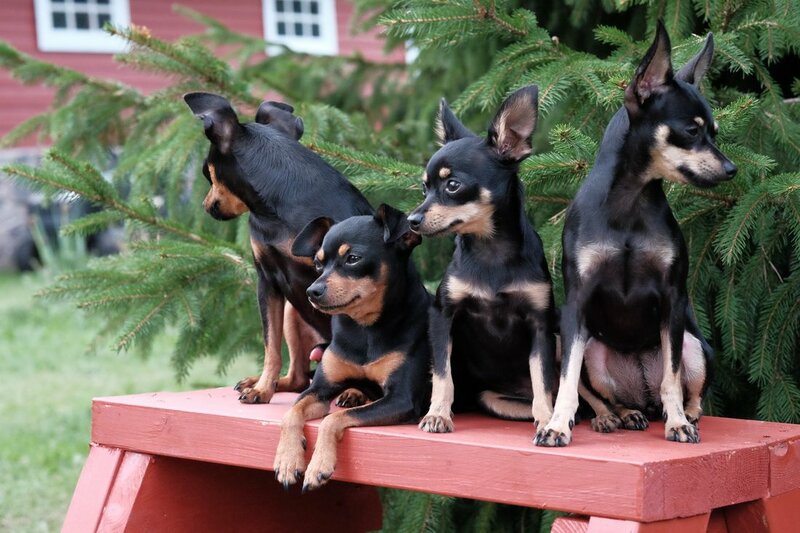 Every litter is bred with the goal to improve the breed. ​ Our dogs have official vet-certificates Patella Luxation and some also have Genomics certificates. We breed for the love of Prazsky Kysarik only!!! Our dogs are our pets first and foremost and are treated like members of the family. They all live indoors and have free run of the house and spend a lot of time in the big garden and they get a lot of personal attention. Dogs lives with us all the time, they are member of our family. Puppies are reared in our home in a warm, safe and loving environment. The are well socialized, raising in a loving family. Our dogs are happy and healthy and they are fed a top quality food ! We feed puppies with Biomill, Magnusson Petfood and natural food (meat, eggs, vegetables, rice, diary products). Puppies are going to new homes in age after 8-12 weeks. All puppies are vaccinated by age, dewormed, with EU-passport, with microchip, with veterinary health check, EKL/FCI export-pedigree, sales purchase agreement contract. We do not send puppies via post or courier! Only from hands to hands ! We will remain a small kennel as we always want our dogs to live inside the home with us, that is our priority! And we are really proud to breed this wonderful breed! If you are interested in a puppy from us or have any questions, please feel free to contact us.